Each year we experience three double 8 Time Gates on August 8 or 8.8 as well as 8.17 and 8.26. Scroll to near the bottom for more. Exploring Timelines and other Time related mysteries…updated in November of 2016. Time is an illusive mystery with so many different dimensions and possibilities that go beyond our usual experience of clock time. Most everyone has had unusual experiences of Time, including speeded up time, time that creeps by, time out of time experiences that scientists might explain as a time dilation effect. There can also be bleed through from the past, or future, or other timelines in parallel realities. This most often happens in the dream state but can also happen in waking reality. Some people are so sensitive to the other timelines bleeding through to this one it can create a lot of confusion and difficulty in coping with this reality. The 2009 movie The Time Traveler’s Wife is an example of a story about someone who is uncontrollably and randomly jumping through time. Usually time is a linear experience that we have learned to expect. However, time has many multiple layers and dimensions we have yet to understand. There are many science fiction TV shows and movies that have pondered these diverse elements of time and time travel. Some examples are shows like Quantum Leap, Sliders, the Time Tunnel, many episodes of the various Star Trek series and movies, various episodes of the Star Gate series, and the show Flash Forward are all dealing with issues of Time. Numerous movies have themes associated with Time. There are too many to list them all but a few are the Back to the Future movies, The Butterfly Effect, The Time Machine, Dr Who, Time Bandits, Somewhere in Time, and in the summer of 2010 was The Hot Tub Time Machine (I didn’t see it, just heard about it). Those of you who have been reading the Celestial Timings over the years probably know that I am personally fascinated by the mysteries of time. I started asking questions related to how time worked when I was three. When I was six I remember coming home from school wondering what could possibly be the point of living if everything we did instantly became history? My mother says I was very upset and even though she had a metaphysical background she didn’t know how to answer my question. Linear time did not make sense to me then and is often still puzzling. I do have “aha’ moments but then the strong hold of linear time reasserts itself and I am just left with the memory. Every year on August 12 is the anniversary of The Philadelphia Experiment. (In 2017 it will be the 74th anniversary.) 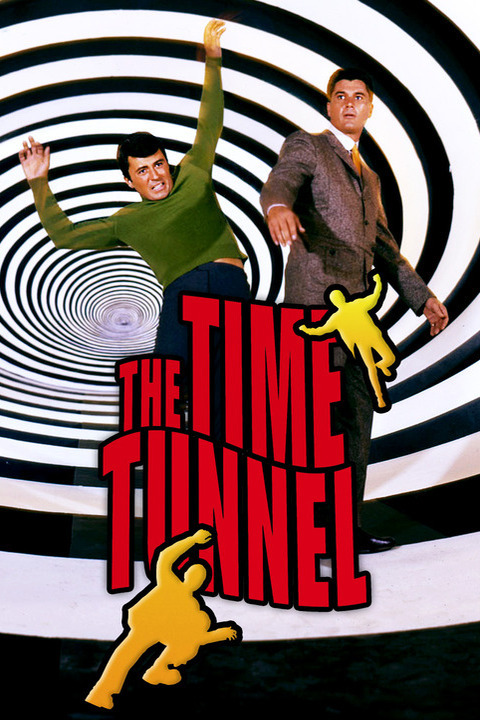 From 1966 to 1967 there was a Television Series known as The Time Tunnel. There has been speculation that this TV series was inspired by the secret experiments that the US government, and other countries, were doing on time travel including the Philadelphia Experiment. There is a wealth of information about this including books, magazine articles, movies, documentaries and an episode on this subject in the series Unsolved Mysteries. This project seems to be also linked to the Montauk Projects that were also about exploring Time Travel. When we begin looking into issues of time travel it can have the effect of reorienting our perspective about Time and even how there may have been attempts to manipulate time, not just in movies but in our actual reality. Googling words like Montauk Project can bring up interesting and often outlandish information. HERE is an example. It is important to remember that we are living in a time where it is helpful to question everything, including what we perceive is real and not real. When we use the power of questions and are willing to discover the deeper underlying truth, it is likely the illusions we experience will begin to dissolve and we will discover a truth more wonderful and amazing than we have yet imagined. So when Tom Kenyon’s Hathor article showed up in August of 2010 I was intrigued. I immediately loved the title “The Art of Jumping Timelines.” I resonated with this intuitively and it seems to confirm some experiences I have had. Note: You can read about two of them. This link is to a piece I wrote in 2007 describing a Time Node experience in Southern France. This link is to a piece I wrote about my time out of time experience in Peru in 2002. Although it may seem paradoxical to some, your timeline—your life—is only one of many simultaneous possibilities. And it is quite possible, indeed it is your birthright, to alter your timeline and the potentials of your life. Your culture, for various reasons, has hypnotized you into believing that you are limited to one timeline. In this message we shall endeavor to discuss our understanding of timelines and how you can change them. Whenever there is an increase of chaotic events, there is a convergence of multiple timelines. Due to the fact that your planet has entered a Chaotic Node and is experiencing ever-increasing levels of chaos, there is also an increase in what we call time nodes. Time nodes occur when two or more timelines converge. As a result of their close proximity oscillation effects sometimes occur when the realities of one timeline bleed through, or are psychically perceived by those on a neighboring timeline. I recommend checking out the rest of the article at the above link. It is long but definitely worth reading as the Timelines are converging into a singularity. I am also suggesting, for those who would like to have an entertaining experience of Time Travel or Timeline Jumping many of the movies mentioned would be a way to do fun research. 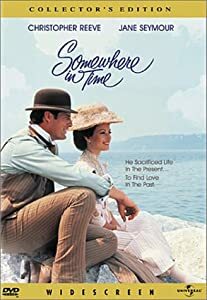 The 1980 movie Somewhere in Time with Christopher Reeves and Jane Seymour is an intriguing example of someone who had an actual Time Travel expereince through focused intention similar to the process the Hathors describe for jumping timelines. The movie Sliding Doors with Gwyneth Paltrow explores a timeline split and follows the main character through two different realities based on different choices that her different aspects make. This brings me to Richard Bach’s book One. The book describes Richard’s adventures in exploring the different personal Timelines that occurred during important choice points in his life. He was able to track the alternate timelines created by alternate choices that he did not make and he saw how those timelines played out in an alternate reality. These explorations into various expressions of Time reminds us that all creation, all timelines, all parallel realities exist simultaneously and we have the power to consciously choose the timeline that most resonates with our soul’s purpose. When we learn to master the art of Jumping Timelines we become skilled Time Navigators or Time Travelers navigating the various tides of time. In May 2009 a revised and updated Star Trek movie proposed that Timelines can be manipulated – and in a sense we can re-write our timeline – as this movie demonstrated. Ultimately this movie rewrote a familiar timeline that all Star Trek fans know very well, and it was done in such a way as to create what might be called a happier ending. In the movie, Dr. Spock actually returned from the future to help the present day Spock create an entirely new Timeline that would avert a future disaster. There are those who feel that scenario is playing out now on planet Earth and that many on Earth now – are from the future time and they are here to redirect our Timeline away from a disastrous result. Regardless of the truth of this idea, because all Time exists simultaneously, something we can do right now is contact our future self to help us navigate toward our divinely intended future. 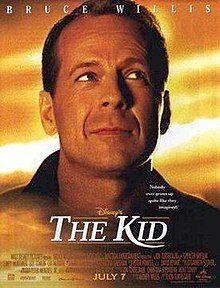 In 2000 there was a Disney movie, The Kid, with Bruce Willis. It was a brilliant demonstration of how our future self can orchestrate a redirection of our personal Timeline, getting us back on track with our divine design by not only meeting with our past younger self and helping to heal the past wounds but also with our present day self in ways that inspire possibilities for the future that might not otherwise be in our awareness. The almost eight year old Kid, Russ or Rusty, reminds the almost 40 year old present Russ (played by Bruce Willis from the perspective of when the movie is primarily located in current day time) of their childhood dreams. This encounter creates a seemingly at first unwelcome course correction for Bruce Willis’ character. However, as both the present day and younger self encounter one another as orchestrated by the future self , the present day self assists his younger self to navigate some difficult times. Yet this was all being orchestrated by the future self of Bruce Willis’ character who was orchestrating the whole experience. There are many movies and TV shows that have explored many aspects of time. I have already named a few and here a few more: Brigadoon, Time Bandits, Time Cops, Time Travelers, The Time Machine, Harry Potter and the Prisoner of Askaban, and Groundhog Day are a few movie examples. And as already mentioned TV shows like Twilight Zone, Time Tunnel, Quantum Leap, Sliders, Life on Mars, Stargate and various StarTrek series all have had elements of Time travel or Time shifts either as their premise or there were certain episodes that looked at issues of Time Travel and the altering of Timelines. Sometimes these are experienced as Time Slips where a person slips into another time and depending on the story being told may actually change the existing Timeline. These movies and shows are wonderful to watch in ceremonial receptivity as they act to shift our perceptions of time and how we experience the possibilities of the past and future. When past and future meet in conscious acknowledgment of the here and now – it activates new possibilities that are ideally aligned with our authentic divine design when we are willing to choose it. As far as I know at this point (in time) navigating time is an individual journey that we each discover for ourselves. The very first step is to have a strong desire and a strong intent. The next step is to ask time related questions. In the The Emerald Tablets of Thoth the Atlantean Thoth clearly wanted to know about the mysteries of time and he questioned the Master (the divine part of himself, his higher self) and by asking the questions in his heart, he found himself on the path to discovering and living the answers. And I questioned the Master, saying: “Was this thought eternal?” And answered me the Dweller, saying: “In the beginning, there was eternal thought, and for thought to be eternal, time must exist. So into the all-pervading thought grew the Law of Time. Aye, time which exists through all space, floating in a smooth, rhythmic movement that is eternally in a state of fixation. Time changes not, but all things change in time. For time is the force that holds events separate, each in its proper place. Time is not in motion, but ye move through time as your consciousness moves from one event to another. Aye, by time ye exist, all in all, an eternal One existence. Know ye that even though in time ye are separate, yet still are One in all times existent.” Ceased then the voice of the Dweller, and departed I to ponder on time. For knew I that in these words lay wisdom and a way to explore the mysteries of time. … Then sought I to solve the mystery of time. Found I that time moves through strange angles. Yet only by curves could I hope to attain the key that would give me access to the time-space. Found I that only by moving upward and yet again by moving to right-ward could I be free from the time of this movement. Having an active and vivid imagination is also helpful in imaging your travels through time and the timeline you want to jump to. It also might be helpful for those who desire to master the mystereis of time to practice Lucid Dreaming, meditation and being out in nature and under the sky at night. Of course learning the night sky is a great way to time travel and that is helpful in consciously jumping timelines. Thoth speaks to this in the Emerald Tablets. Only through time – time is conquered. I am so with you in this true understanding, rather than the definition of time that conventional science describes. Being a hypnotherapist I and my clients have had many experiences of existing in other realities. I’ve also found the science of Walter Russell and Nassim Haramein very helpful in creating my own concept. I was moved to comment on your article as I have found myself transported to another time as a result of holding an obsidian spear head I found on the land I’ve been so drawn too. I am exploring and healing via love, the fear based beliefs of that lifetime/timeline in order to heal all timelines. For there is truly only the one, but the one has been fractaled out into the impression of many. Thank you for your lovely article about the illusion of time! Thank you so much Susan. I am not familiar with Walter Russell (will look him up) but am very familiar with Nassim Haramein and his view of the Physics and Time we are in now and love that expansive point of view! Clearly nothing is necessarily what we have believed it to be and as we change our point of view our experience changes. It is so cool you are working with clients that are experiencing other Timelines and Realities. A mentor of mine loved to refer to this as other timelines bleeding through to this. Thank you, Cayelin. As always, you amaze and delight. I have been following you for well over a decade. Just logged on to see what’s in store for March as it is my birth month, too, and I am going to France with my daughter this month. I also am intrigued by time, have had out of body and other experiences. While reading briefly your links I was amazed at some synchronicities: for one, the link about the Montauk experiments…the name was too familiar…I went back to my dream journal…all the way back to 7-28-04 where I wrote about the ‘Mantiaks’ (my interpretive spelling) that looked like mini ‘Darth Vader’ aliens. Came in starfish shaped ships and drilled into our heads to put tracking devices. This was really strange to me as I don’t really resonate with alien stuff then or now. Next, your link about Queribus. Well, since I’m going to France March 21-30, I will definitely make that a place to visit. My birthday is March 20, and I’m in a venus return like you. Also, My daughter, who started this whole trip, was born August 8, 1984! Talk about some time gates! Should be an interesting trip…esp. with mercury retrograde! If you have any other suggestions on what to visit in France I’d love to hear about them! Thanks again for sharing!